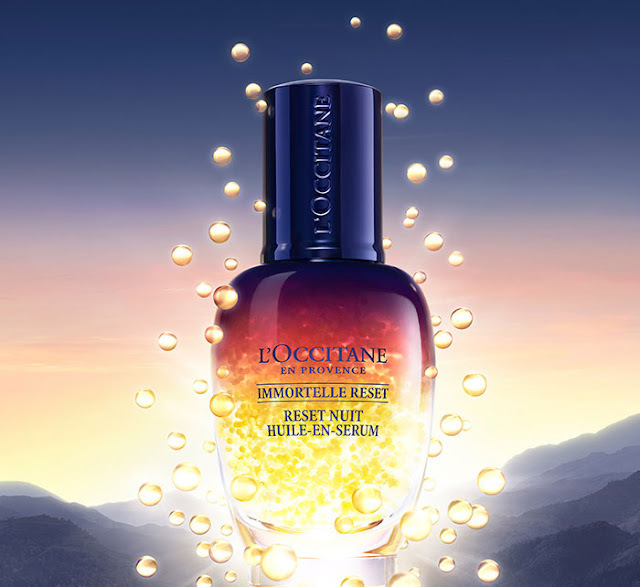 L'Occitane launches Immortelle Overnight Reset Oil in Serum, a nightly treatment infused with more than 3000 golden bubbles to help your skin recover as you sleep. Stress, urban pollution, poor diet and lack of sleep are all taking toll on your skin. Your skin puts up with a lot of damage during the day, so L’Occitane’s new serum, which works overnight, is designed to help it counteract the stress of daily living. At night, the goal is to repair damage from the day’s stress, as new skin cells grow faster while we sleep. 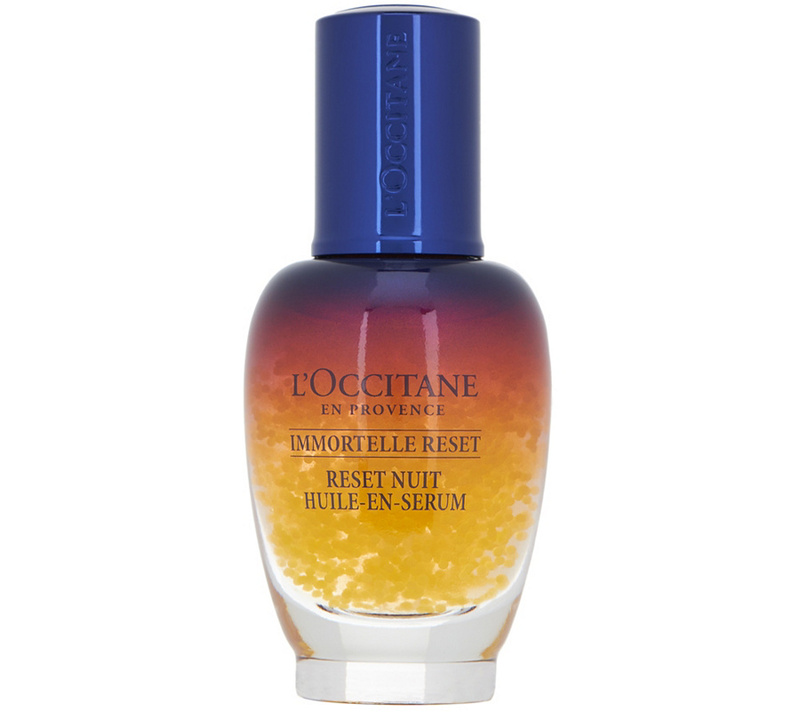 The Immortelle Reset Oil helps skin repair itself from daily damage, so you wake up with energized, fresh, radiant complexion. The new Imortelle Reset Oil Serum is formulated with a trio of active ingredients, a special botanical complex from natural origin. Its highly concentrated formula is lightweight and easily absorbed by skin. It can be used alone, before moisturizer, or added to any current routine. 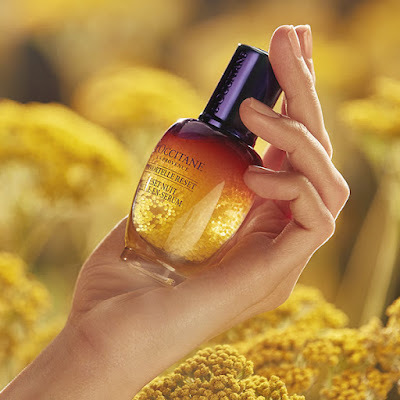 The pillar of the new Overnight Reset Serum is the Immortelle essential oil, a powerful natural antioxidant that rejuvenates the skin and makes it noticeably firmer. The blend also includes skin-smoothing Acmella Oleacera, which has a botox like effect on facial wrinkles; as well as Majoram Extract to boost skin’s own recovery mechanisms overnight.